Home CDN , children , crafts , feature , holiday , holidays , homeschool , January , papercrafts , printables , US , worldwide January 12th - Featuring Batman TV Show Freebies! 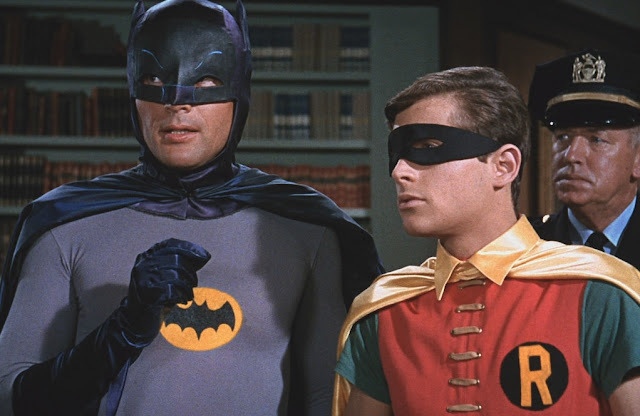 January 12th - Featuring Batman TV Show Freebies! -- The definitive book for all fans of the popular Sixties show. Presented in a lavish hardcover edition, the book features classic images, rare stills, photography, and production art - serving as the ultimate tribute for fans of the series. Now at long last, collectors and Bat-fans alike can indulge in a detailed and in-depth look at the show which inspired generations. • Batman Classic TV Series -- Holy box set, Batman! Own your favorite wacky Gotham City heroes and villains in this special edition box set! The dynamic duo, Batman and Robin face off against three of their most memorable foes: Catwoman, The Penguin and The Joker. Will our heroes survive their dastardly plans? Order today and you decide! - This just could be your day... if you're a fabulous wild guy. Perhaps this day is meant to feast your eyes on some fabulous wild men. So, ladies, we suggest you check out the top ten sexiest men. - Celebrates the sweet, malleable almond paste confection marzipan. An international food, marzipan is enjoyed through its taste and appearance, as it is often shaped to resemble other things, usually tiny fruits or animals. - A day to honor pharmacists, and recognize their important role in medical care. A Pharmacist must be knowledgeable of the chemistry of all medicines. They can inform you of a drug's side effects, and all aspects of prescription medicine. Very importantly, they understand and recognize the interaction of drugs together... many people take numerous prescriptions. - The US House of Representatives rejected a proposal to give women the right to vote in 1915. Women gained the right to vote in 1920.